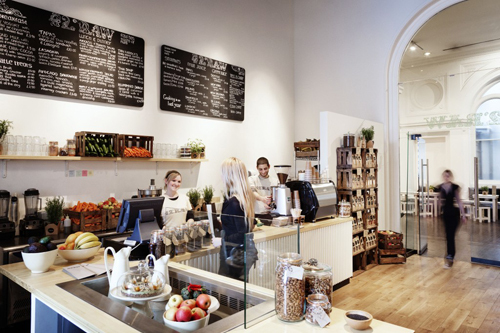 Looking for a tasty and healthy hotspot in Copenhagen? 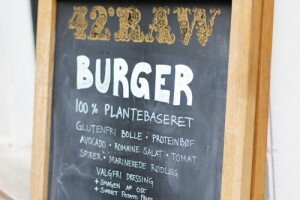 42raw is the perfect place! Everything in this restaurant is raw. 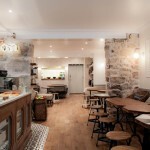 The dishes are gluten free and cappuccinos made with almond milk. The brunch you can have here is till 14:00. A brunch at 42raw costs 129 crowns, which is about € 17.50. The restaurant also serves delicious breakfast and lunch dishes. The sandwich with hummus and avocado is a must-try! The restaurant makes delicious cakes, and yes this is all raw too! The restaurant has a cozy interior. There are long wooden tables where people eat or work on their laptops. Above the table you can see the pretty ‘raw’ industrial lamps. Which suits this place perfect. 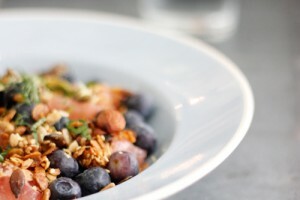 You can also order homemade granola in a variety of flavors. So you can have a healthy brekkie at home! The homemade granola costs 69 crowns per bag, which is about € 9.00 euros. 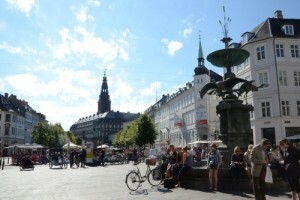 The restaurant is located in the Pilestraede. 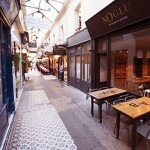 This street is off the main shopping area but really worth a visit!